Find this book at Huron River Press, Your Local Independent Book Store, Amazon, and Barnes & Noble. In 1986, Andy Hoffman quit an engineering job, declined acceptances for graduate school at Harvard and Berkeley and accepted a carpenter's job in Nantucket. Unbeknownst to him, he had entered the world of high-end custom building. Within two years, he was supervising the construction of a 29,000 square-foot mansion on a 180-acre estate in Fairfield County Connecticut. 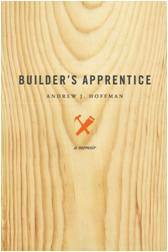 This is a book about his personal and professional growth along that journey, from apprentice to builder through the tutelage of a seasoned and hard-nosed builder. It describes how uniquely high-end homes are built for select clients, a glimpse into the lives of the blue-collar workers, architects, engineers and clients that come together to make these projects a reality. At its core, this is a coming-of-age story, a celebration of the pursuit of creative impulses and a story about defying the "rules" and finding a personal calling in life. My goal in writing this book was first, of course, to describe how uniquely high-end homes are built for select clients. In that respect, it is a glimpse into the lives of blue-collar workers as well as architects, engineers and clients that come together to make these projects a reality. It allows readers the opportunity to experience the joys and challenges of building one-of-a-kind homes. But I also wrote this book as a coming-of-age story, and a celebration of the pursuit of creative impulses. I wanted to create a story that would inspire others to pursue their own dreams. Right now, as a professor, I see young people struggling with a desire to have more than a career; a desire to have their work be what really makes them passionate; a desire to have a "calling." They are developing their "careers"; they are building their resumes; they are taking jobs that they don't really like, hoping they'll lead to jobs that they will one day like. And deep down inside, they are dissatisfied and frustrated. Some even know what they would really like to do, but are afraid to do it. It is easier to do what you are "supposed to do" and continue on the path that you set years before. What a mistake it is that so many of us live professional lives chosen by a 17 year old. I have counseled many of my students to follow their passion as I did. This is a book for people, young or old, about defying the "rules" and finding a personal direction in life. 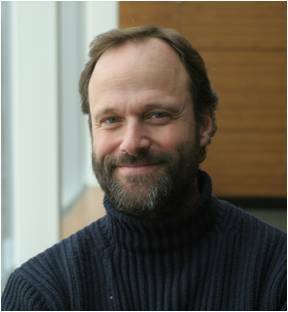 Andrew Hoffman is currently the Holcim (US) Professor of Sustainable Enterprise at the University of Michigan, with joint appointments in the Ross School of Business and the School of Natural Resources & Environment. He is also the Director of the Erb Institute for Global Sustainable Enterprise. His work is in the area of business and environmental issues and has published 9 books and over 90 articles on the topic. This book is a departure from his previous work, his first foray into creative writing, documenting nearly five years he spent in the home construction field in Nantucket, MA and southwestern CT prior to becoming a professor. Today, he lives in Ann Arbor, Michigan and keeps his carpentry skills honed by constantly working on his house. His neighbors tease that he doesn't live in a house, he lives in a project. For more, please visit his webpage at www.andrewhoffman.net. Media inquiries may be direct to Shira Klein at the Huron River Press at shira@huronriverpress.com. The book rolls off the press line at Thomson Shore, March 31, 2010. From left to right: Kevin Spall and Connie Adams (Thomson Shore), Andy Hoffman, Shira Klein and Steve Klein (Huron River Press).